The sandwich is one of the most favorite breakfast for kids and us. It’s very easy to make it at home with less oil and full of vegetables. 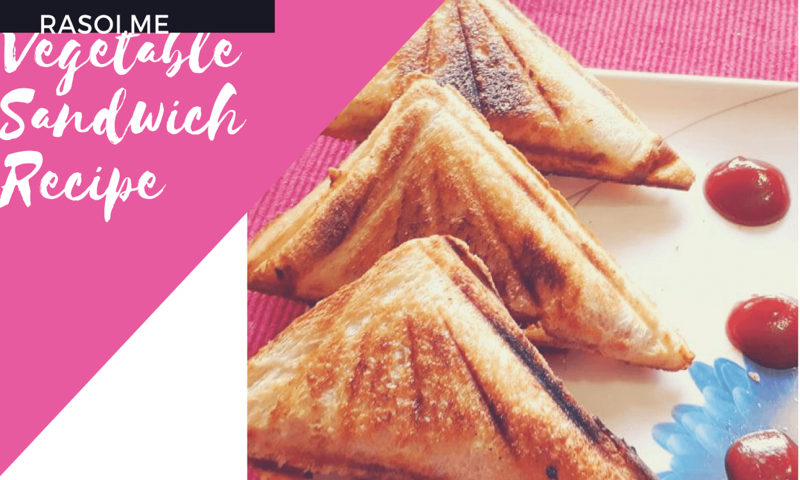 Love this vegetable instant sandwich recipe than watch the video and subscribe our YouTube channel Rasoi.me today. Learn home cooking eat healthy stay healthy. First take boil potatoes and mash it properly. Add Tomatoes, Green chilies, Onion and Green Coriander and add all spices red chillies, Salt and turmeric powder. This Stuffing is ready after mashed. Take 2 bread slice fill the Stuffing in between 2 breads add cheese slice if you like. Stuffing in 4 breads done. Sandwich maker is heated now. Put these sandwich in it. Sandwich is baked in Sandwich maker in 5 minutes because we pre heated the sandwich maker. No Replies to "Instant Vegetable Sandwich Recipe"